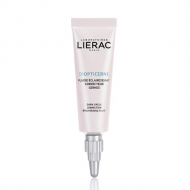 Protects against periocular cell damage for enhanced corrective action on dark circles. 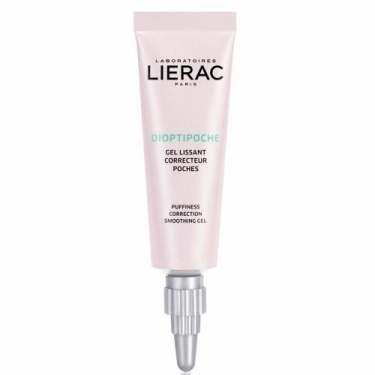 DESCRIPTION: Dioptipoche Gel Lissant Correcteur Poches from Lierac is an intensive anti-puffs treatment, suitable for pockets of water, fat and / or sagging. Inspired by the aesthetic technique of blepharoplasty, this smoothing gel provides a triple action against the three types of paps: water, fat and relaxation. Its formula was enriched in anti-blue-blocking peptides for a periocular cellular damage arrest and a reinforcing broker action. After 1h, the eye contour becomes decongestant, and after 7 days it becomes toned. A result that is amplified with the uses for a visible reduction of the volume of the paps after 28 days. 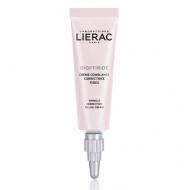 Apply a small amount to the eye contour in the morning and at night, using light touches.